B&W; photo of 63 Heart Mountain Draft resisters of Heart Mountain Fair Play Committee. 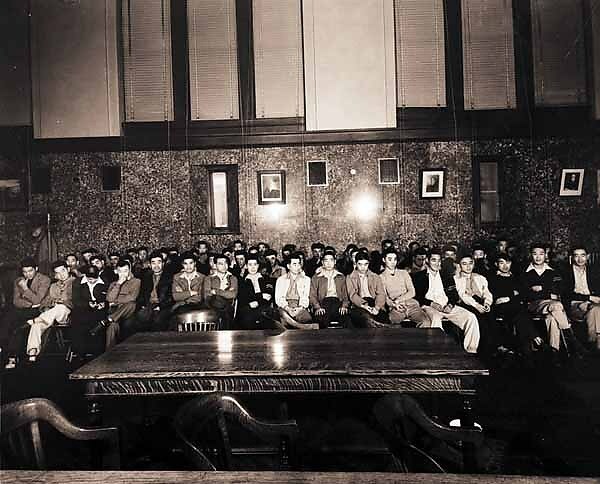 Court Room scene w/large table and chairs in foreground. May 10, 1944. U.S. District Court, Cheyenne, WY.